3 Things Businesses Can Do With Blockchain? By now most people have heard some sort of description of what blockchain is or what it does and more than likely, that it has been related to money. Over the past year, blockchain has gained a lot of popularity for its distributed ledger technology, which is the backbone for buying and selling crypto currencies like Bitcoin and Ethereum and other assets through private markets. But blockchain is a lot more than a platform for buying and selling crypto currencies. Blockchain technology stands to play and integral role in the future of businesses and industries in the same way that the internet did before it. In the future, blockchain technology will be a part of most everyday business-to-business transactions. There are many potential benefits for blockchain technology. Let’s consider three ways in which this technology will potentially bring value to businesses. This could be in regard to providing more flexibility, security and the ability to streamline business processes, or in some cases develop completely new business models. The first way that blockchain will help business is by enabling distributed autonomous marketplaces. In other words, it will allow owners of assets to track and trade things of value. Invoices and payments can be traced in a private, secure, transparent and self-reconciling environment. This will allow quicker and more flexible cash and asset management. A blockchain-based transaction eliminates the need for third-party intermediaries because, the open framework is controlled and transparent to all participants. Businesses will be able to express their assets multi-dimensionally in terms of market value, as opposed to only book value. An opportunity value comes into play. The second way blockchain will help businesses is by managing and securing decentralized private records through encryption. One of the core features of blockchain is that each individual data block or record is encrypted. In the past, businesses have had to rely on third parties to protect databases of shared information by using, firewalls and restricting access. The frequencies of these data breaches show that this is no longer a practical solution. But since each element of data is encrypted and secured with a blockchain member’s key, the only way the information can be stolen through the blockchain is if the thief had access to every member’s key. This is virtually impossible and could make theft of a large number or private records or data virtually impossible. The third way blockchain will be able to help businesses is through the ability to track the origin of materials and products. Blockchain can be employed to certify product quality and safety by simplifying the ability to track or locate inventory or products. For example, let’s suppose there is a factory recall on a defective motor part such as a car brake. Blockchain would make it possible to track every defective brake on every car or every parts supplier or even, any individual who purchased the brake. Public hazard safety recalls would progress at a much faster and more effective pace than the old paper based system saving countless lives. It is clear that moving forward, blockchain will continue to play a more vital role in the direction of business processes. In some cases, blockchain will add value to existing business models and in other cases, it will require reconstructing complete new models and transforming old industries into new and more profitable entities. 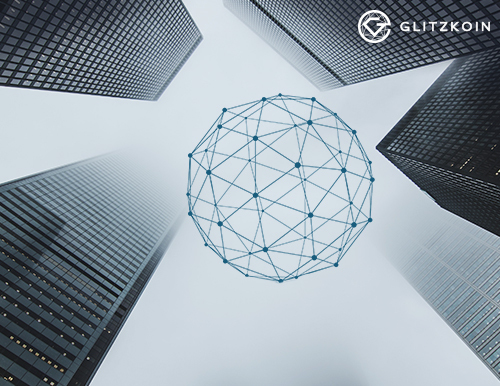 GLITZKOIN is an example of an industry leader who believes that, there is a better way to conduct diamond trade using blockchain technology. We are building a diamond trading platform based on blockchain technology. The objective is to help modernize the industry and make it more secure and transparent. This platform will allow direct access to diamonds between sellers and buyers.